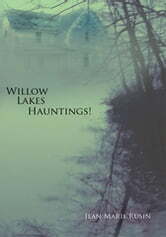 On the shores of Willow Lakes lies a creepy old house with a mysterious past and a reputation for being haunted... If you believe the tales,once you step inside, you may never see the light of day again.They say that the things you will see will scare you to death. Books related to Willow Lakes Hauntings! Thin Ice Zombies in La Nowhere to Run or Hide!